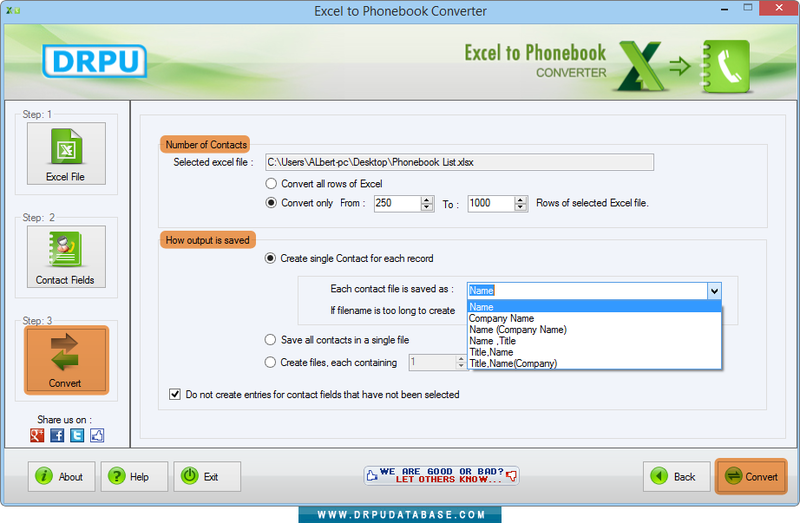 Browse excel file of contact details to convert into phonebook file format. 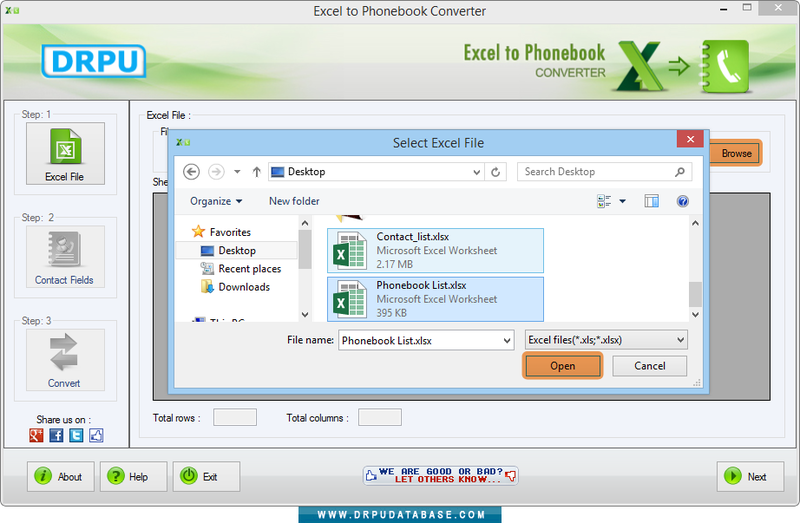 Select the excel sheet. 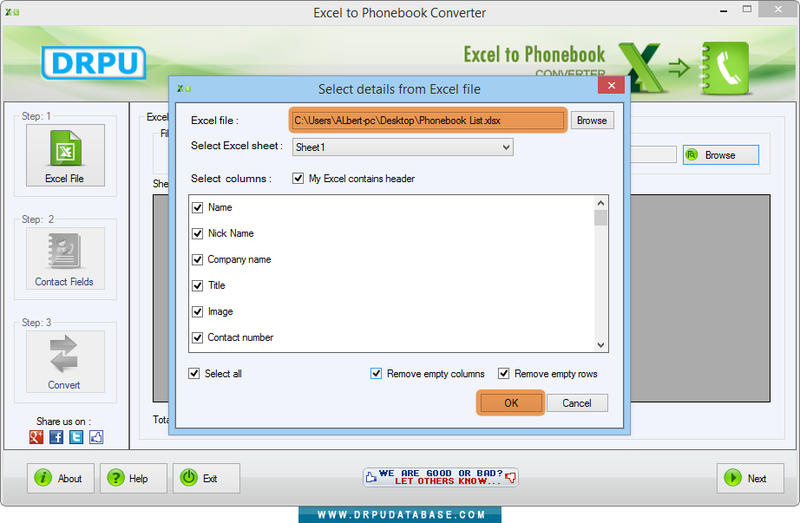 If your sheet contains header, check on 'My Excel contains header' option. Select columns and click on OK button. 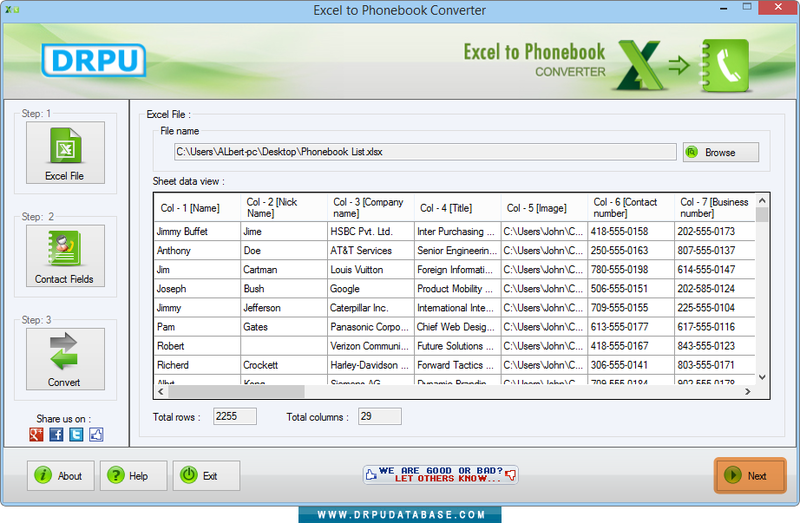 Above screen shows selected excel sheet along with data view. Now click on 'Next' to continue. 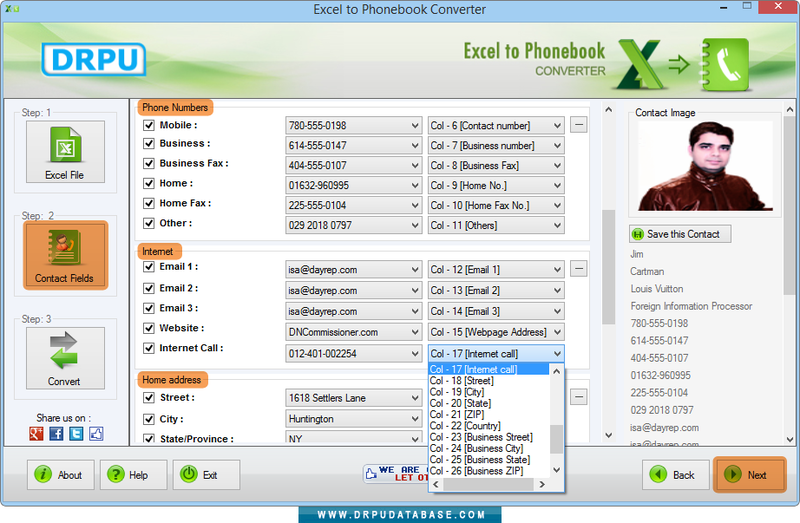 Select various Contact Fields as per requirement such as Name, Contact Image, Phone Numbers, Emails, Home address etc. Click 'Next' to proceed. 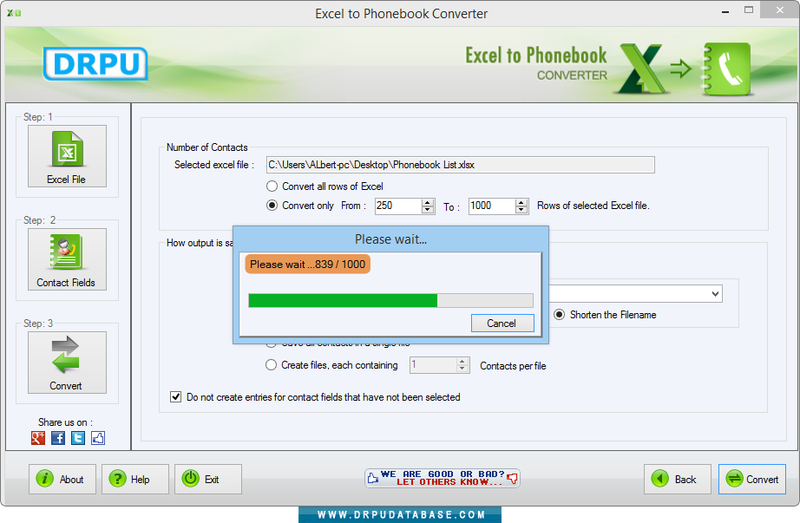 Select Number of Contacts, How output is saved and click 'Convert' button to convert contacts into phonebook file. Above screen shows the current status of conversion process.